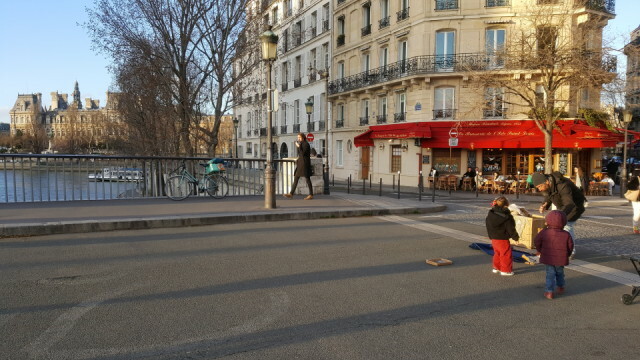 There are often buskers on Pont Saint-Louis, the little bridge that links the île de la Cité to île Saint-Louis. It was surprisingly quiet when I crossed it in the late afternoon today. These two little girls had this puppeteer all to themselves and they were completely fascinated by the story he was telling them. Worked at home this morning doing some writing and revising, then reading at the bibliothèque de l'Arsenal in the afternoon.